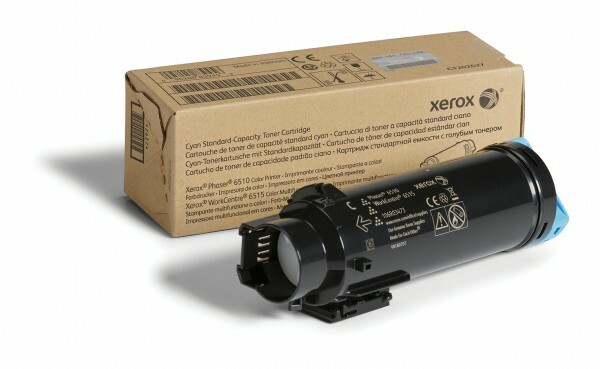 This genuine Xerox standard capacity cyan toner cartridge is specially formulated for the Phaser 6510 and WorkCentre 6515 to ensure the best print quality possible and deliver consistent and reliable results, page after page. Get peace of mind with genuine Xerox supplies and donâ€™t settle for cheap imitations. The 106R03473 toner cartridge yields approximately 1,000 pages. TRIPLE GENUINE XEROX REWARDS available on 106R03473 Cyan Toner for Phaser 6510 / WorkCentre 6515. Visit UK Genuine Xerox Rewards Website and use Promo Code X3651CONSEU. Offer Valid Until 30-6-2018.